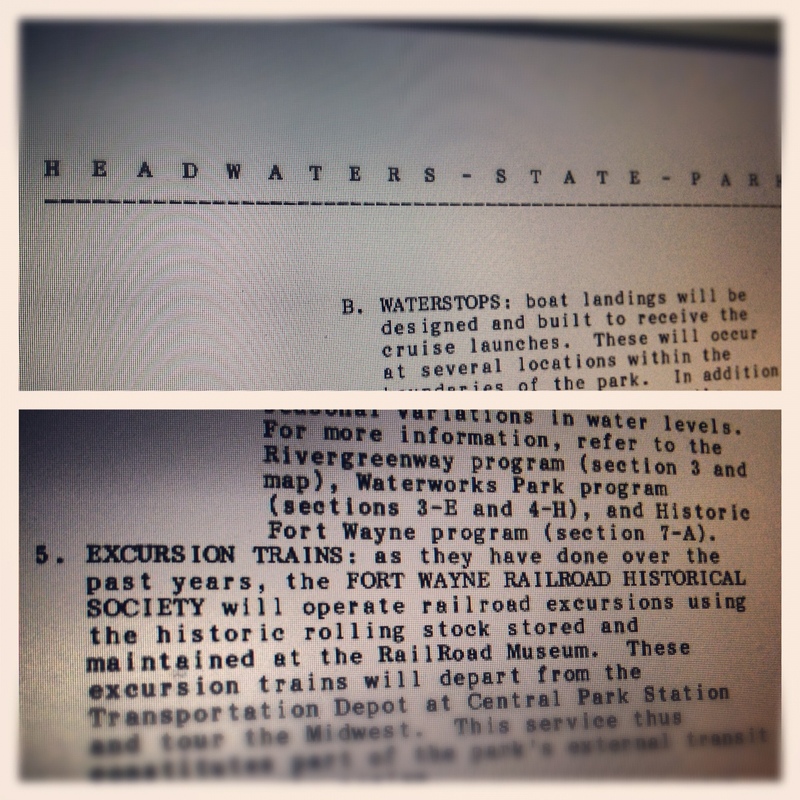 In the early-to-mid 1990s (and even before) the conceptualization and realization of Headwaters Park was one of Fort Wayne’s first modern redevelopment efforts, turning acres of flood-plain back into a public space. Headwaters Park was originally intended to encompass over 200 acres of riverfront property, but the sheer size and scope of the vision was scaled back to the first two phases we enjoy today. In the original master plan, the park was to reach as far north as Science Central and North River (then the Omnisource scrap yard), as far east as the City Water Works, and stretch further to West Main Street. Originally proposed as a state park, Headwaters Park found home on 30 acres of industrial riverfront, leaving the other hundreds of acres and their subsequent ideas unrealized. To recap: in the early 1990s an incredibly successful and respected visionary saw the potential in uniting three of the city’s great natural assets, going so far as to specifically name steam locomotive no. 765. Two decades later that idea has resurfaced with a 21st Century mindset, completely unaware of the proposal years before. This has become more than a park or a museum as envisioned in the pages linked above, it is a regeneration, an experience. And twenty years is a long time to sit on this type of potential. Previous Post"Should Not Be Overlooked"
Next PostA Rocket Ship Down Main Street: Fort Wayne's Own "Endeavour"